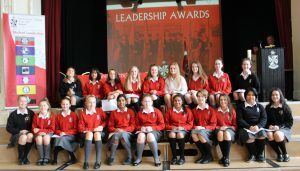 The Student Council is a representative structure for students through which they can be involved in the affairs of the school working in partnership with school management, staff and parents for the benefit of the school and its students. It is democratically elected and it aims to enhance communication between students and management. It also aims to promote respect among students and wishes to embody the ethos of the school.